The world is full of yelling to try to get your attention. Call to action: Make it clear and easy to do. On every page. Sure, you could wait for your customer to do what you want them to do. But wouldn’t it be a little faster and more effective to—you know—ask them? What do you want your prospects to DO when they end up on your website? Make sure you have a clear call to action on every page of your website. 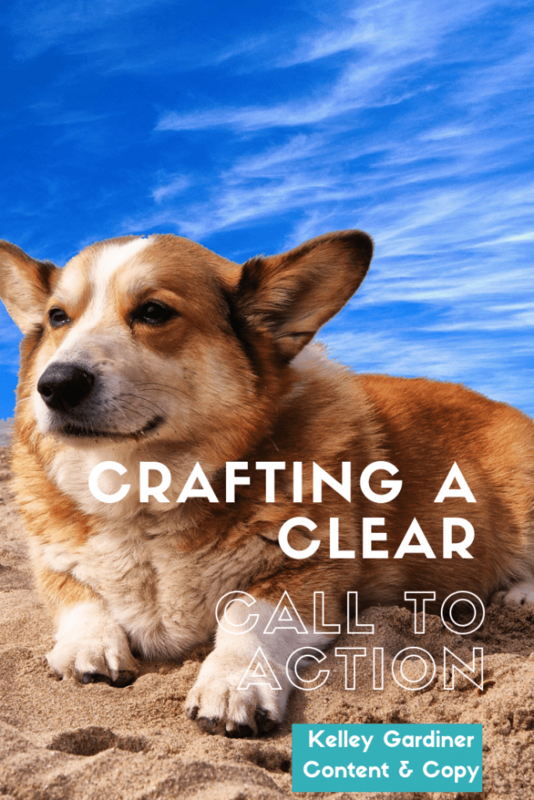 What is a call to action, anyway? You have to ask your prospect to take the next step. It doesn’t have to be BUY NOW on every page. Far from it. But, every interaction should be a positive experience that could potentially lead to a sale down the road, right? You’ll need to figure out your customer journey before you can really dial in the call to action. Anyway, you should have an idea of who your customer is, and what they do before the step where they give you money. How long have they known about you? Do they tend to do a lot of research before they buy? Do they subscribe to your newsletter or follow you on social media? What should my call to action be? What kind of service or product are you selling? What page are they on? Let’s start with home pages, because they’re the ones that often get short shrift when it comes to a call of action. What? For a B2B (business to business) service company with a higher ticket price, your call to action on the home page will often be “learn more,” with links to a more information, like a portfolio or pricing. Why? Because your buyer is a mid-level professional who needs to research several options. They may need to justify or explain their choice to others. They need more information about your work before they proceed with contacting you. What? 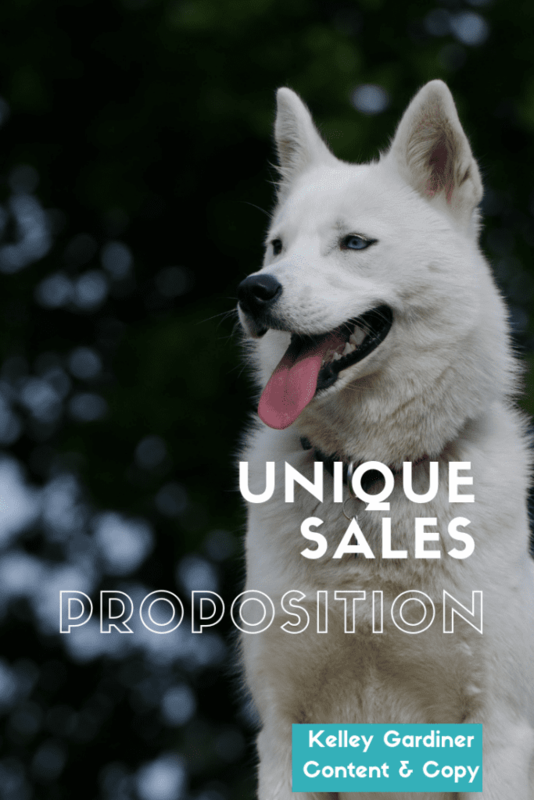 For a small online retail business, you might put your product on the home page, and let the sales be your call to action. Why? Because getting your customers to your sales page is the hard part, and that’s already done. They’re already interested. You can put beautiful photos of your product to entice even more, and a link to your online store. Your front page can even be your online store. Make it easy! Furthermore… For a restaurant it might be “reserve your table.” For brick-and-mortar retail, you might want to tell your new internet friends to sign up for your email newsletter for 10% off their first purchase. And on and on. What would you like leads to do after they land on your home page? So it can be different on different pages? After all, if someone is on your sales page, you want them to buy something. 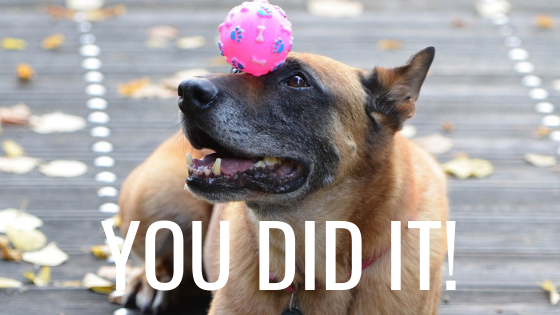 If you’ve gotten someone to your landing page for your email newsletter signup, you sure as heck want to convert that. If someone is on your contact page, you want them to contact you, right? Or do you want them to go straight to booking an appointment? Or read your FAQ before sending you one more lousy email? I’m not an expert when it comes to design, okay? I mean… look around. But from what I’ve read, design makes a huge difference when it comes to your call to action. If you’re starting off DIY, with no budget for web design, I hear you. Your first step is making your call to action very clear. Make it easy to find. And make it easy for me, as a reader, to understand what I’m supposed to do. Watch out for clickable buttons that don’t look like buttons, and links that don’t look like links. Ask a friend to look at your page and tell you what they’re supposed to do at the end. It’s super important to get feedback from someone who hasn’t been staring at your website for six weeks. On a separate note, don’t get so wrapped up in beautiful design that the call to action gets totally lost. Any questions about your call to action? Drop a line at hello@kelleygardiner.com, or let’s hash it out in the comments! 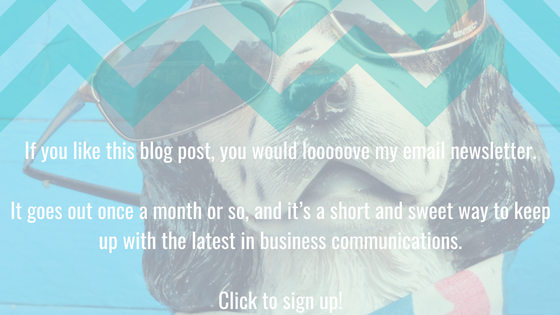 Sign up for my newsletter to get even more tips you can apply to your business today. Click this button. The one that says “sign up now.” There’s a dog on it. Thanks! Which statement intrigues you more? I’m a copywriter, and I write great About pages. When your About page is crafted carefully, you’ll attract your ideal customer. Probably the second one. I’m talking to you, and about what I can do for you. Is your website engaged in a conversation, or giving a lecture? You do or offer something wonderful. We have no doubt of that here. But if your website copy goes on and on about what your business does and sells—well, friend, you start to sound a little self-centered. Let your customer know you’re thinking of them, too. Focus on customer needs in your language and in your content. It’s best practice to use the second person in sales and web copy. First person: I am a wonderful copywriter, and all who fail to hire me gnash their teeth in despair! Second person: You would be so smart to hire me as a copywriter! Third person: People who doesn’t hire copywriters may incur high dentist bills from gnashing their teeth so much. Of course, you can use “we” and “I” and “our” when it makes sense. Just keep an eye out to make sure your focus—and your pronouns—don’t stray from the customer too much. Let’s look at a big example: Netflix. We all know what Netflix is, right? They don’t have to explain much on their home page. That’s not a ton of copy. It’s a tagline, a couple of counter-arguments against why you wouldn’t push the button, and the offer. And it’s all imperative language, which… oh no. Watch out. I’m going to do another grammar thing. “You” is in all of these sentences. The second person is implied. Do you remember diagramming sentences? Maybe in Spanish class, if not in English? When you’re making a command, grammatically, there’s an invisible “you” acting as the subject of the sentence. It’s language that speaks directly to the reader, and it can make a big impact in a few short lines. We’ve talked about focusing on the customer using language, so let’s think about focusing on them with your choice of content. When you tell your brand story, do you talk about the successes for your clients? Do you explain how your service or product has helped your previous customers? Leads and prospects relate more to your clients, who’ve ostensibly been in their shoes at some point. They needed what you had to offer, and had a positive result. Boom. Just the kind of content you need. Testimonials, reviews, and case studies provide “social proof” that you’re real and legitimate. Part of writing website copy is staying open to changing it. Listening to your customers, asking for feedback, and adjusting your products accordingly will go a long way toward success. Networking isn’t just about handing out business cards and getting hot leads. It’s also about learning what kind of questions the public has about you and what you do. Networking events are also opportunities to try out new messaging, especially if you can get an opportunity to talk to big group for a few seconds. Try out your new elevator pitch to see how many smiles and head nods you can get. You need to post something anyway. Be strategic about what kinds of questions you ask, and you might get a seed to some content strategy. Just one isn’t enough! Since you’re ideally just testing one variable in each test, it’ll take a lot of testing to get to your perfect copy. Just when you have it all dialed in, your clients or the environment might change. Test, test again. 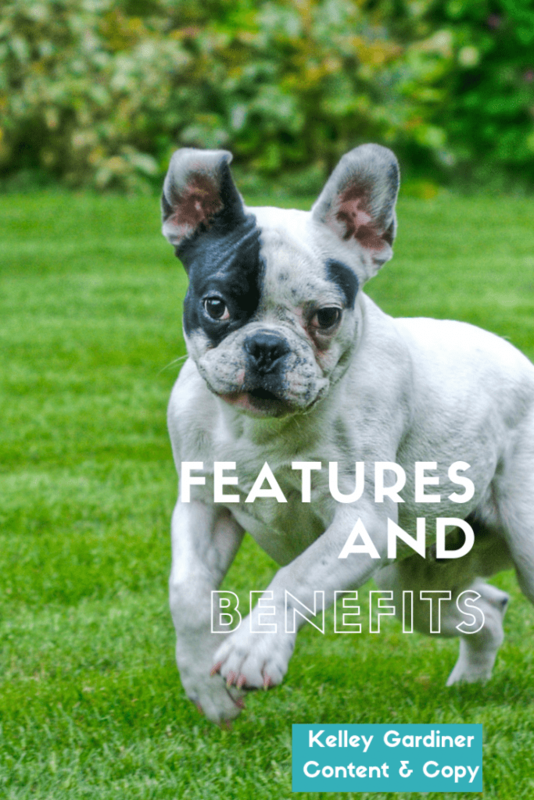 What’s the difference between features and benefits, and why does that matter for your website copy? Well, your business is awesome! You have an exciting product or service, and you want the world to know about it. When you focus your sales copy on the benefits of your goods, it’ll help keep your leads interested, and put them in the mindset to buy. As the old adage says, “features tell, benefits sell.” Let’s sell. Features are cool things about your product or service. Let’s say you sell cat shampoo. 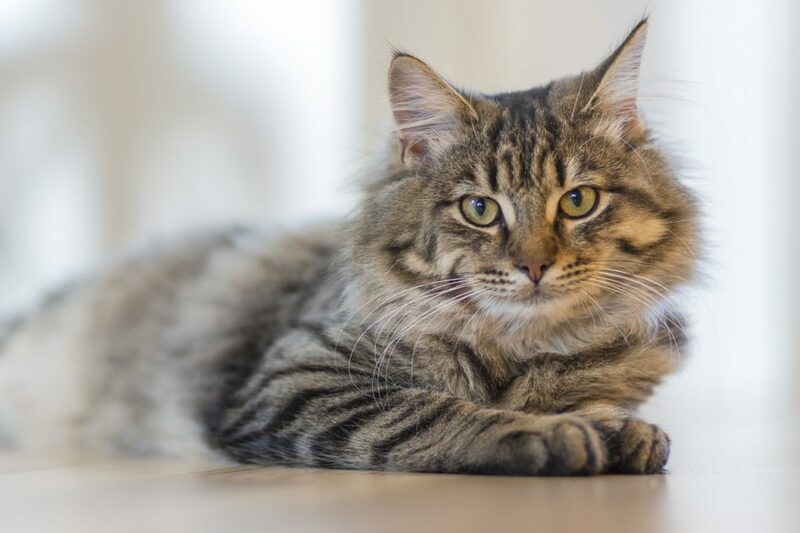 Features of your cat shampoo might be a seven different cat-friendly scents, organic ingredients, rinses clean, free shipping, or frustration-free packaging. These are details about your product that your customer does want to know. They belong in your website somewhere. Sure, if your client is looking for something very specific and they already like you and your business. But most of the time, your goal is to hook the prospect to try to keep them interested and on your site. As we discussed before—people do not read. 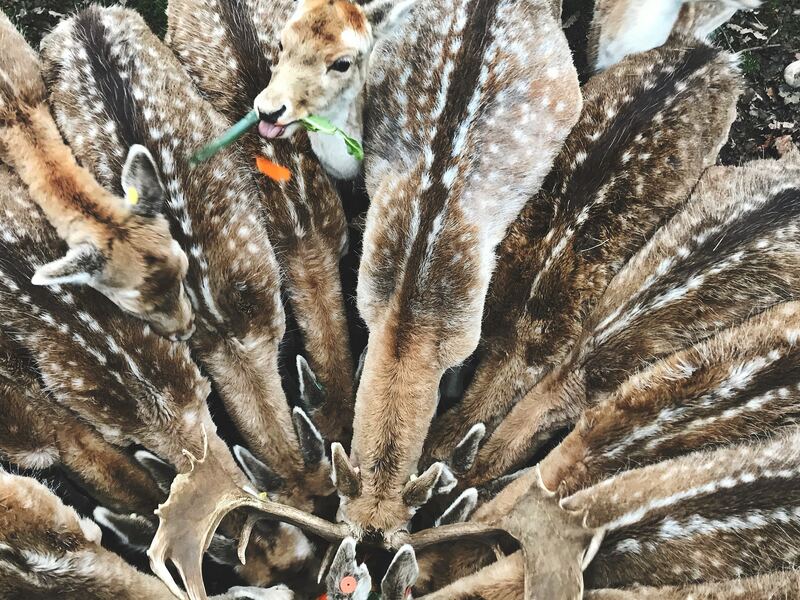 They’re not going to hang around more than a few seconds to figure out if they want what you’re selling. Now, let’st think about how those features benefit your customer. 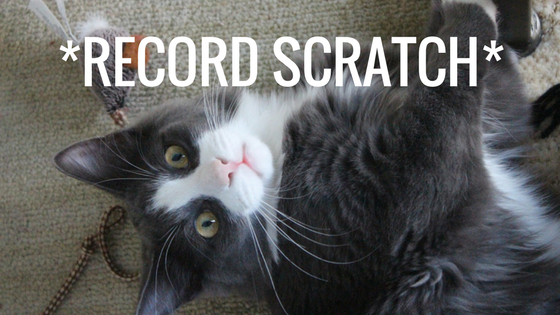 Got cat scratch fever? Stop the struggle at bath time, thanks to our clean-rinsing formula. The clean-rinsing formula is still there, but now you’re reminding people how that benefits them. 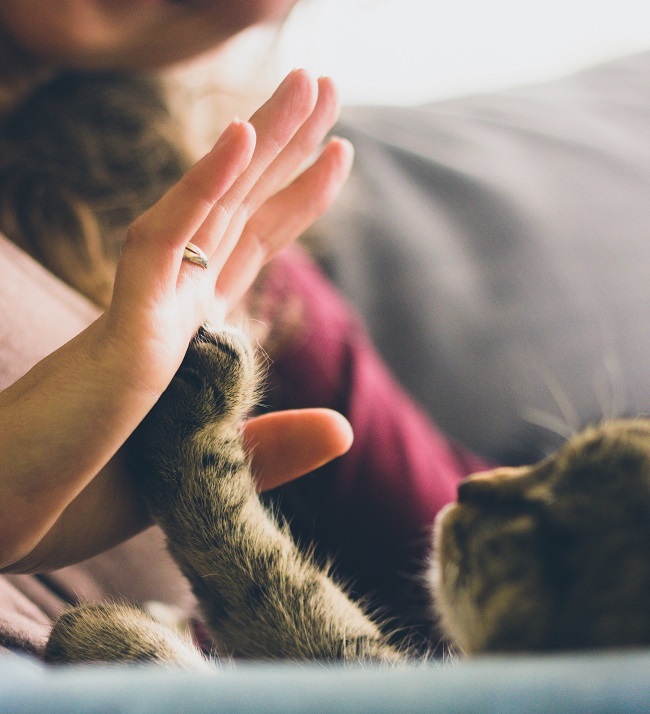 It saves them from holding down an angry cat longer than they have to. To make this a little more clear, I talked to a couple of women who own beauty businesses here in Portland, Oregon. They were kind enough to help me illustrate this a more specifically, using their beautiful examples. Caity Hubert is running a program to help self-employed hair stylists make more money. (Love it!) It’s called Best Year Ever. That all sounds good. My soul is not stirred yet, but this is good to know. That’s the soul-stirring stuff! Would I like to make more money, and consistent money, as a self-employed person? Yes, please. Caity didn’t point this one out, but one feature immediately leapt out to me when I checked out the website. Benefit: Drink wine while taking said class. Sandra Kafka is a makeup artist and hair stylist at Sandra Kafka Beauty. I love that last one. I think I need her to hold my hand and take me to Ulta. That’s why we lead with benefits. Your clients do want to know the details of your offer, but you have to hook them first. Thanks to the fantastic Caity and Sandra for taking the time! 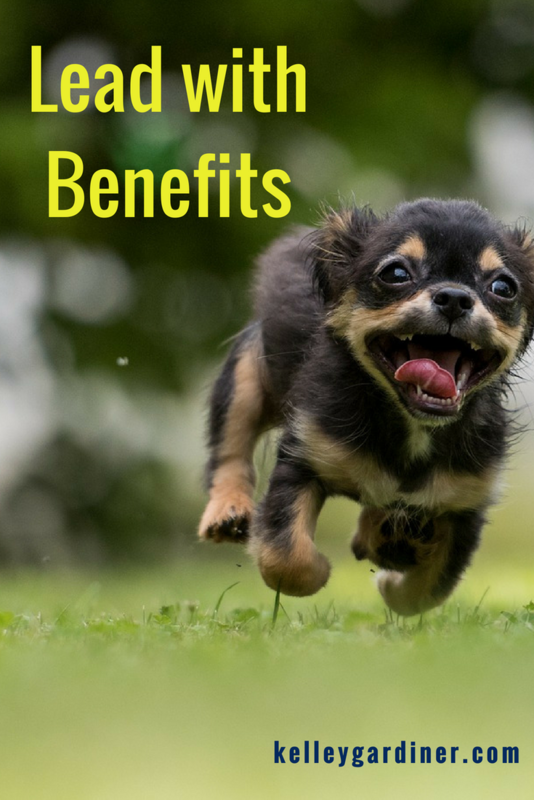 Need help parsing features vs. benefits? Let’s work through that in a consultation. Who’s your dream customer or client? Hello! We’re back with even more from the Website Copy That Converts checklist. 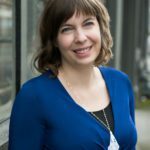 I’m holding your hand on a friendly journey through each point on the list, so you can learn more about writing (or hiring out the writing of) effective website copy. You can download your very own copy of this handy checklist today. Check out the previous installments about pain points, keywords, and headlines. 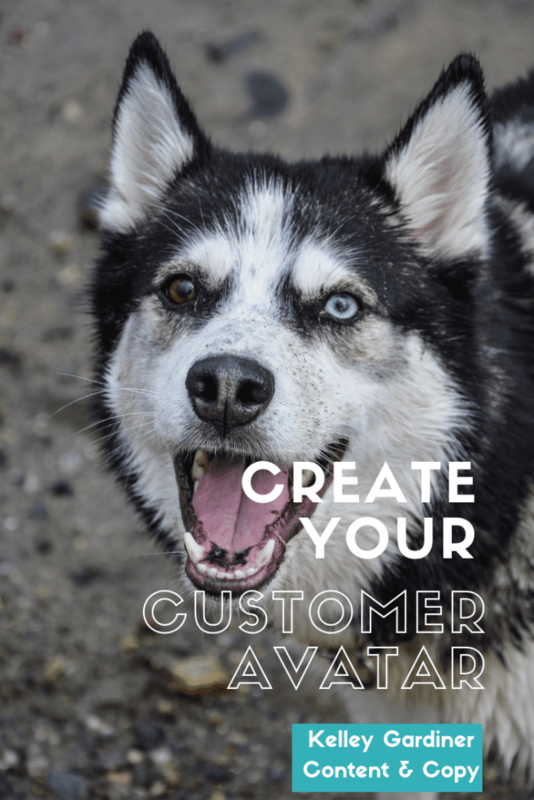 Target a specific audience; keep your customer avatar in mind. Business owners, especially new ones right out of the gate (Hi! You’re doing great!) tend to get a bit itchy at the thought of focusing their marketing or services to a narrow niche. Certainly we don’t want to exclude any potential clients when prospects are already few and far between? 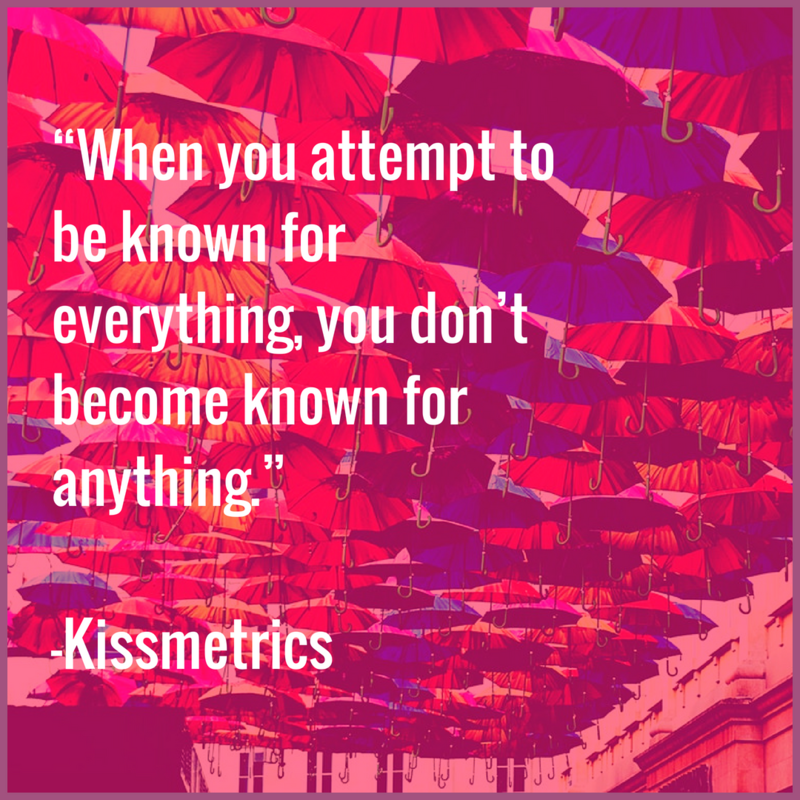 Stand strong for yourself and your brand, because narrowing your focus can open up possibilities. Figure out who your prime customer is, and speak to her. One super useful exercise to determine who that is, and how to address her, is using a customer avatar. Digital Marketing Institute and Forbes have some smart things to say about it. 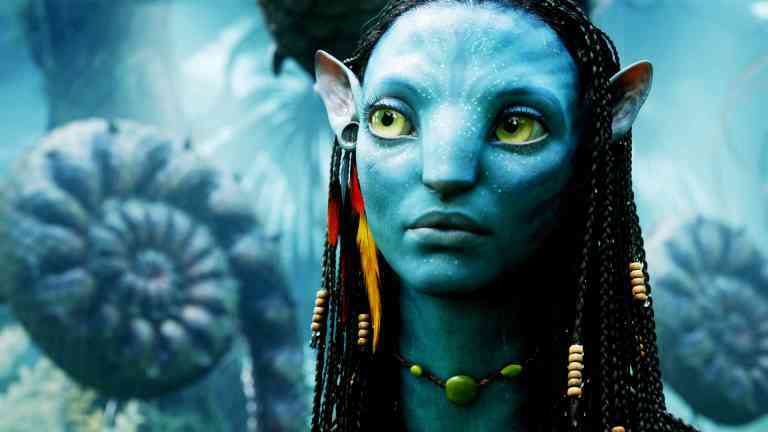 A customer avatar (aka buyer persona) is a “semi-fictional” ideal client. Instead of thinking about a range of people who might buy your product or service, you’re drilling down to think of one. What’s her name? How old is she? (Not 18-45, but maybe 32.) What does she do for fun in her spare time? What magazines or blogs does she read? Does she use Facebook, Twitter, Instagram, Snapchat, or does she claim she doesn’t have a smart phone? Yes, it feels strange and reductive at first. After all, you serve a number of fabulous and unique people. But there’s a point to all this, so stay tuned. A lot of very smart digital marketing folks have written a bunch of smart articles about creating your avatar, so I’ll let you have at it. You might be thinking of one person in particular who you’ve worked with, mixed with your idea of the perfect client. This kind of thing is fun for me, since I’m—you know—a writer. I like to ponder human behavior and then make things up based on that. It’s my thing. If it’s not your thing, grab a friend/marketing professional/copywriter and talk it out over a cafe au lait. That’s how specific you can get! Take ten minutes and brainstorm whatever comes to mind for your customer avatar worksheet, then come back to it the next day or the next week. Your subconscious will do plenty of work for you here if you let it. After all, you’re thinking about your customers throughout the day as you’re wooing and serving them. If you have a fun customer avatar, I’d love to see it. Email hello@kelleygardiner.com, or leave a link in the comments. Now that you have your ideal customer in mind, you can talk directly to her. By the way, I really mean directly to her. Using the second person, or “you,” is currently considered the effective way to go. After all, your customers aren’t interested in what you can do. They’re interested in what you can do for THEM. We have the best customer service in town. You’ll enjoy the best customer service experience in town. Thought so! Even better if you can describe this wonderful experience in detail. Writing in the second person helps your prospect see themselves as your customer. Say your customer avatar likes lavender lattes and marionberry scones. Great! That doesn’t mean you’ll necessarily mention those things in your website copy. Maybe you’ll talk about grabbing a cup of coffee, which your reader will know can certainly mean a lavender latte (or cup of tea) if they like. Maybe you do want to mention lavender lattes. They’re totally in right now. If that fits your brand, go for it. Keeping your ideal client in mind will help you keep your focus on sales and storytelling. It will also plain help you write and get words on the page. We tend to procrastinate and get stilted when writing. It’s normal. But when you’re thinking of your client who is Really Into Star Wars and orders in pad kee mao at least once a week, there’s a good chance the words will start to flow a little more easily. You’ll put more of your personality into your work, which will attract the right clients for you. 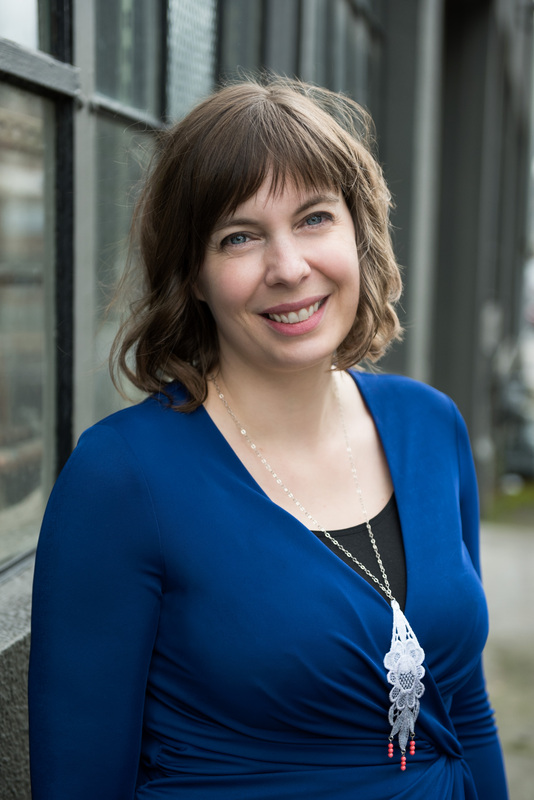 That friendly face, real or imagined, can guide you through the process, whether you’re writing your own copy, or thinking through your messaging while working with a professional writer. You can hire me to help you through this process, too! You will need to go through part of the thought process that goes behind strong writing and marketing, but you won’t have to do any of the heavy word lifting. That’s what I do every day, because I love it. We’re here today as part of the 18 Must-Haves for Website Copy That Converts checklist series. Go ahead and grab the checklist now so you can follow along. Yep, just click that link and follow the instructions. Easy, right? Let’s get to it. If this is a shock to you, think about the way you glean information from a website you’ve never been to before. You probably scan. You see what’s relevant to you, and if something catches your attention, you’ll read more deeply. So, people are scanning from top to bottom, in an “F” shape, checking anything that pops out if it’s relevant or intriguing. What the heck is a headline, anyway? For our purposes, let’s think about any headings on your website. The big words that give your website structure. Some sites might have just one heading on each page, and some might have a bunch. This page has a bunch, but most of your web pages won’t be 500+ words like this blog post is. You don’t have much time to convince someone to stay on your website (about 15 seconds, if you’re lucky), let alone to follow your call to action. 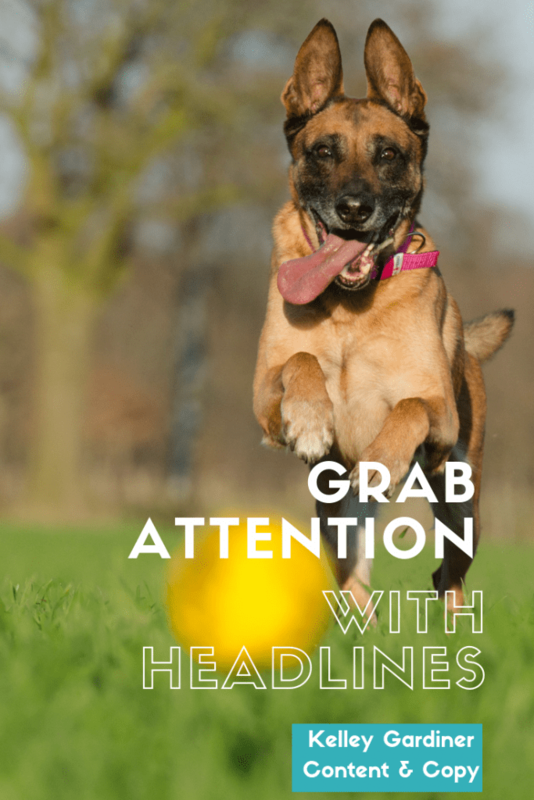 Your headlines, design, and visuals need to do a lot of heavy lifting to convince busy and distracted people to stick around. Good headlines will pique curiosity. Let’s look at a a few examples. Which one would catch your attention? Headlines—Yawn. See you later, gonna go check Facebook. 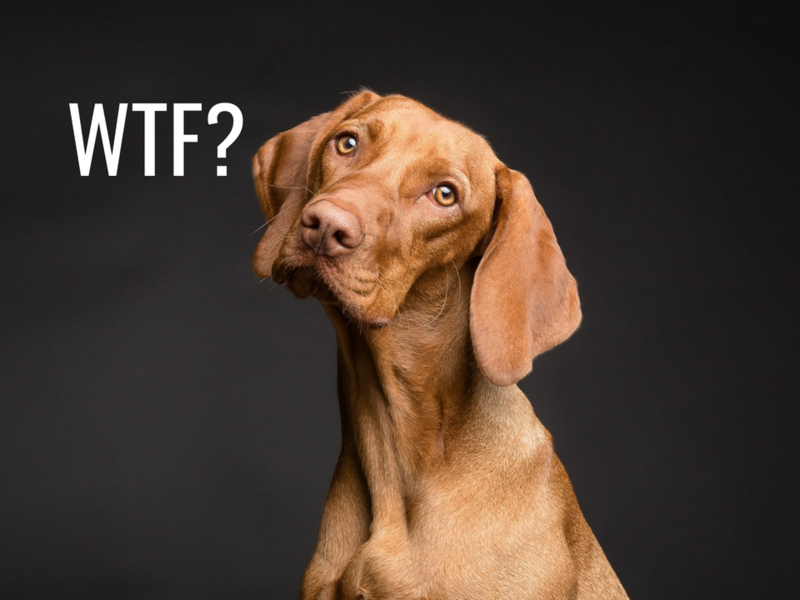 Headline Optimization for Simplified Conversion—Are you talking to me as a business owner? You must be talking to someone who enjoys throwing jargon around, and I’m only interested in getting clients and pretending I don’t spend as much time on Facebook. Headlines Potential Clients Can’t Ignore—I may stick around to learn more about this, if Facebook is slow. Hey! Grab Attention with Headlines—Kelley’s at it again, isn’t she? She usually has pictures of dogs, though. Try to stay away from “clickbait” titles that may elicit an emotional reaction, but probably won’t attract your ideal customer. Yes, headlines should create interest, but don’t get too cute, friends. We’ve already established that people don’t read. Headlines must convey meaning in the few seconds you have to convince your prospect to stick around. One of the hardest parts of writing is finding the best structure for your many wise thoughts and ideas. 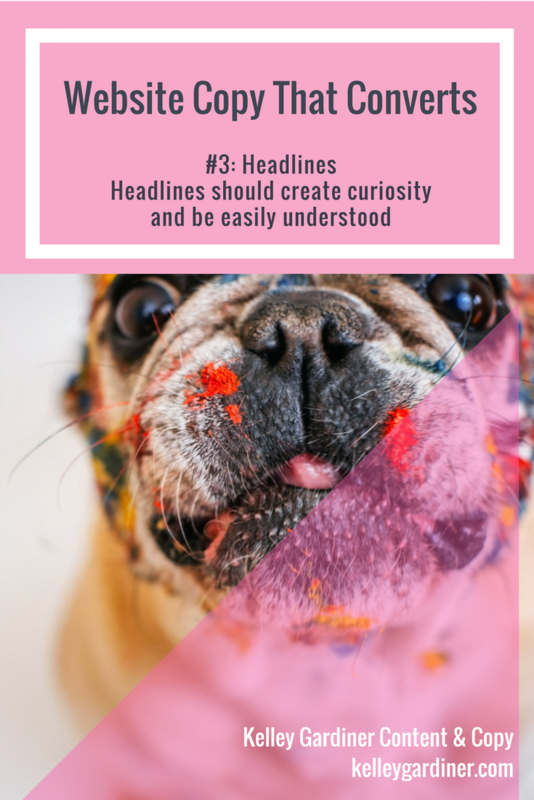 Headlines and headers are the steel beams of your copy structure. Just like those topic sentences in five-paragraph essays you wrote in high school, your headlines announce what’s coming. Stay away from jargon, unless you’re absolutely sure that your audience knows what you’re talking about. If you’re not sure, ask a friend from outside your industry to read through your website. Sometimes you forget what a subject matter expert you really are. Let’s get more clients in the door. Hold on to your butts, because today we’re kicking off a special blog series. 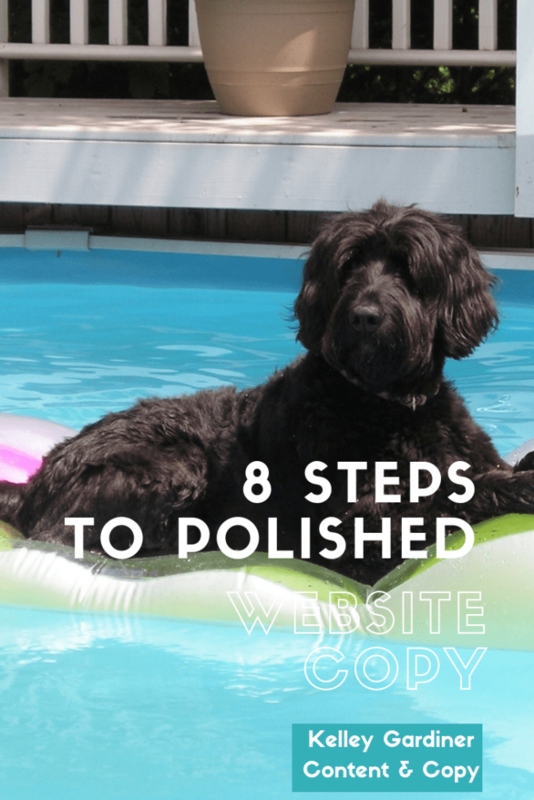 Do you have your copy of 18 Must-Haves for Website Copy That Converts? You can get it for free. FREE! Just for signing up for my email newsletter. Go ahead. Sign up now. My newsletters are fun, useful, and not too frequent. You’ll like them. Now that you’ve grabbed that, this blog series will be doing a deep dive into each item on the checklist. We start with research. All the data you ferret out now will go directly into writing your killer web and sales copy. Identify Customer Needs and Pains. 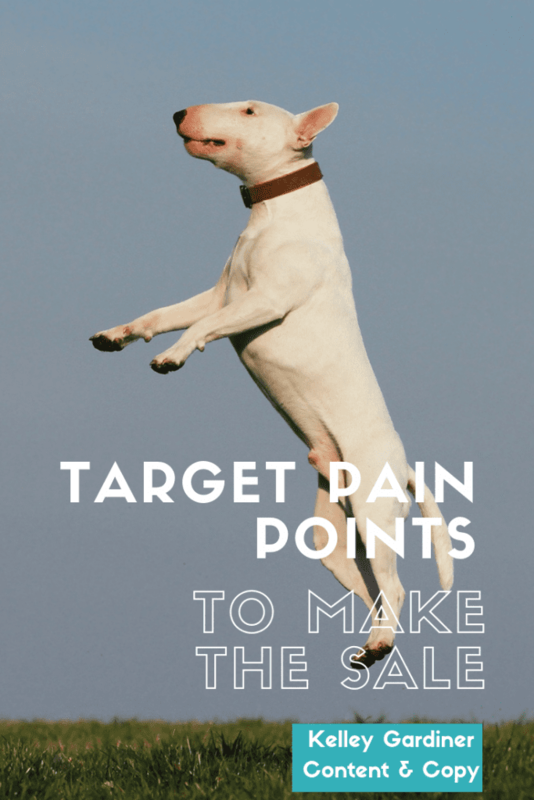 Target Pain Points to Make a Sale. We’ve reached the first stop on our website copy checklist train. Needs are pretty simple. 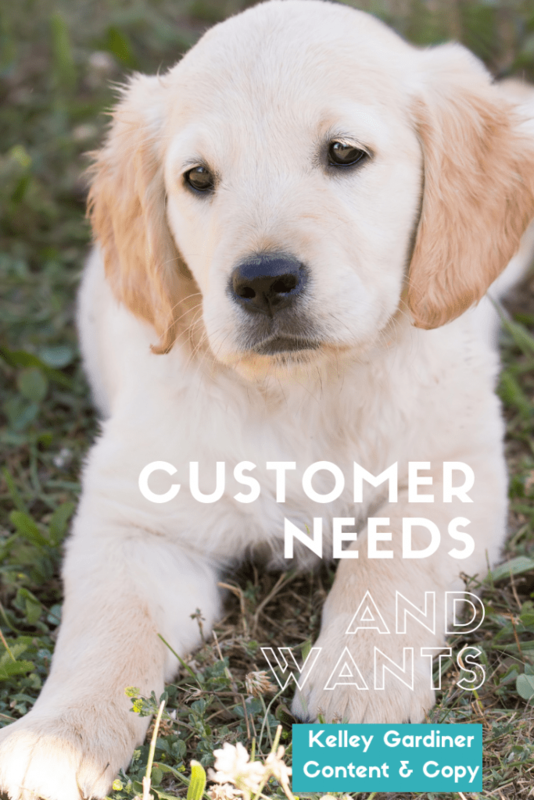 That’s stuff that your ideal customer needs to have. Or thinks they need. Pains are a little more complex. You can think of them as a problem that that your product can solve. So, what does that look like applied? 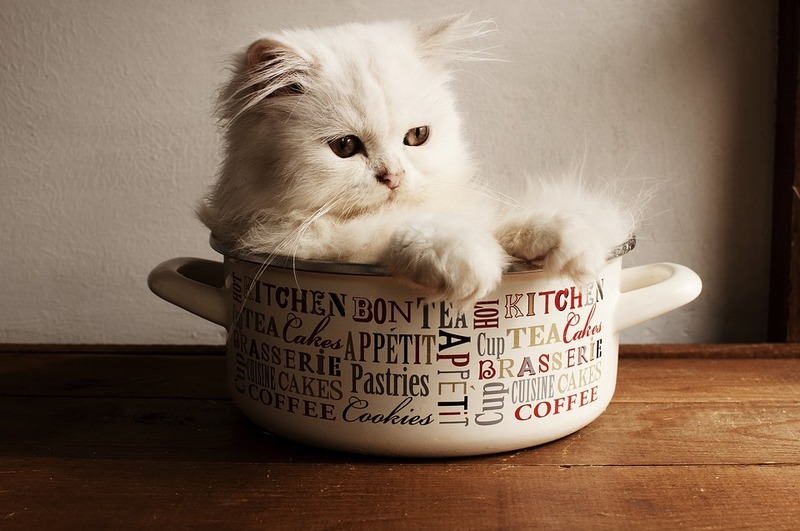 For the sake of this blog post, let’s say you’re a cat photographer. You specialize in boudoir cat photography. JUST KIDDING. 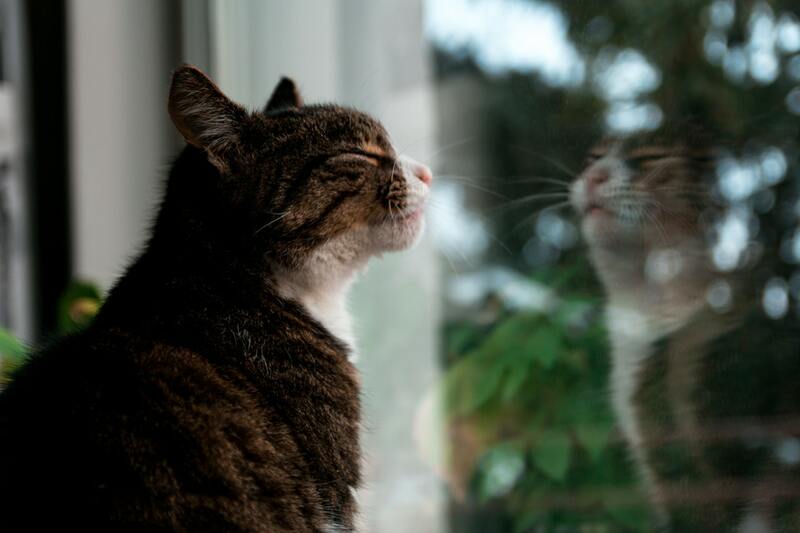 You’re a cat portrait photographer. How do you find out what your clients want and need, and how do you communicate your ability to solve their problems? How do you suss out their pain points, and then communicate how you’ll make all those pains fade away? Instead of telling them what you do, tell them how you can enrich their lives. Let’s get into the nitty gritty. You could guess what your client base’s problems are. That would be a lot less work, but it’s not going to be as effective. Talk (and listen) to your clients. Talk to them. Easy as pie, right? All you need is a little time. What do you mean you don’t have any time? I know. It’ll be worth it. Talking, and listening, should be at the core of your business communications. That looks like sitting down for coffee and having a long conversation with a past client. “Social listening” on Twitter, Facebook, and Instagram. Gritting your teeth and reading Yelp reviews. Ask your Facebook fans questions, and pay attention to the answers. Surveys can be incredibly powerful… if you can get anyone to respond. Make your survey short and easy to complete, and give your customers a reason to spend the time. A chance to win a $20 gift card is not worth 20 minutes of my time, people. Five minutes for a chance win a $100 gift card? Now we’re talking. If you’ve never written a survey before, start simple. Nedra at Blue Deer Forest has some good advice. I’d also recommend giving a test survey to a few friends or a beta group in your network. Sometimes you don’t realize how your questions will be interpreted until the answers start coming back. The wonderful thing about creating polls and surveys is that you can mirror the responses right back to your client base. We’ll talk about that a bit more below. Almost there! Just need to gather a little more intel. Chat with your front line customer service staff. If you have them, they’re a great resource for what your clients are wanting or not wanting. Chat with other people in your network. People who do exactly the same thing as you—your competition. People in the same niche or industry—your network. People who might hire other people with your skills—your potential clientele. Go to a few networking events and get down on some shop talk. A handful of people are in a bad mood, like to complain about everything, and will not be happy until they get your product or service at 80% off. If you hear the same complaint over and over, the common thread is you. Set aside your ego and figure out a solution. Ask the question at least three times. They need photos of their cats. Why? They want to have photos to remember how cute they are. Why? 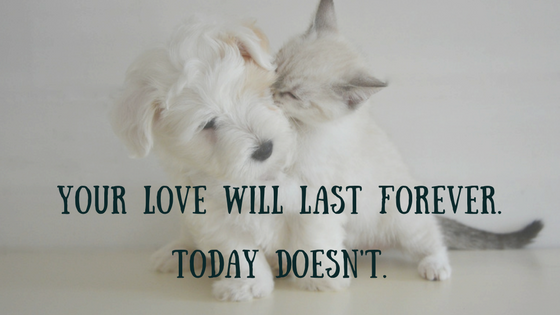 Because animals are only in our lives for a short time, and they’re dearly loved. Why? 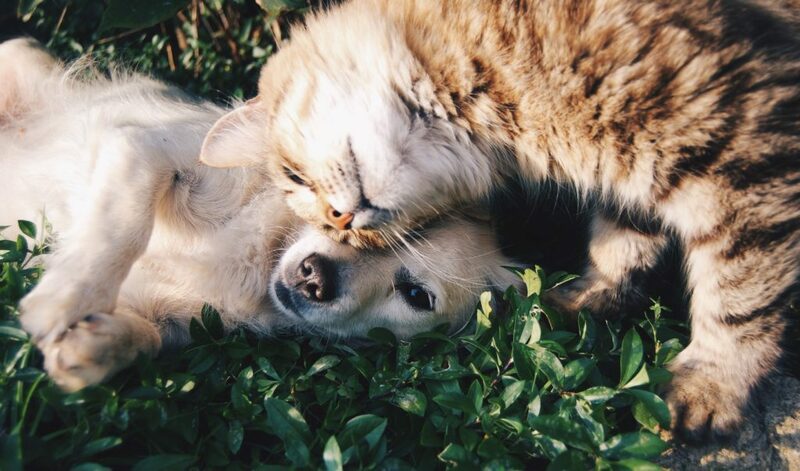 Because they love us unconditionally and add peace and joy to our lives. Whew! You’ve talked to your customers, completed a survey, and talked to your front line staff and other key players in your network. Now you have the information about what your customer wants, and why. Maybe you even know some of the reasons that keep them from buying. You have so much info, friend. And information is power. Now comes the next step: distilling that information into compelling copy that gets your customers to buy what you’re selling. Eep! This seems like a step back. I know. But if you learn in your market research that what you’re offering isn’t exactly what people want to buy… well, isn’t it good to learn that sooner than later? Maybe you thought people wanted formal portraits, but they really want candids. Start playing up the candids! You can still do the posed pillow portraits for anyone who asks about it, after all. You’re just highlighting the candids now. Don’t be afraid to tweak your packages and products from time to time. Times change. You change, your interests change, and the demographics around you change, too. Your strategy and product mix has to move with fashion, technology, and the economy. Yes, okay, you knew that already. Or you did on some level. Now’s the time to make sure that carries over to your website copy. All that work and we haven’t even deleted one word yet. That’s okay. No one said this would be easy. Hiring someone to do it for you is much easier. Did I mention that? Wink. Start a list of words and phrases to use. 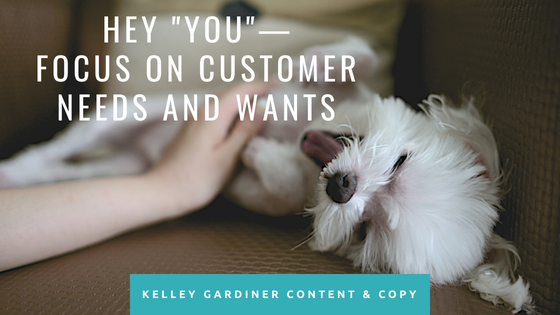 Pull out words and phrases—the ones your customers have already given you in conversation, on Facebook, and in surveys—to use in your marketing and website copy. Keep a file of those words, and don’t worry about them too much on your first draft. Sprinkle them in on the rewrite. I know. This is why I started a writing business. 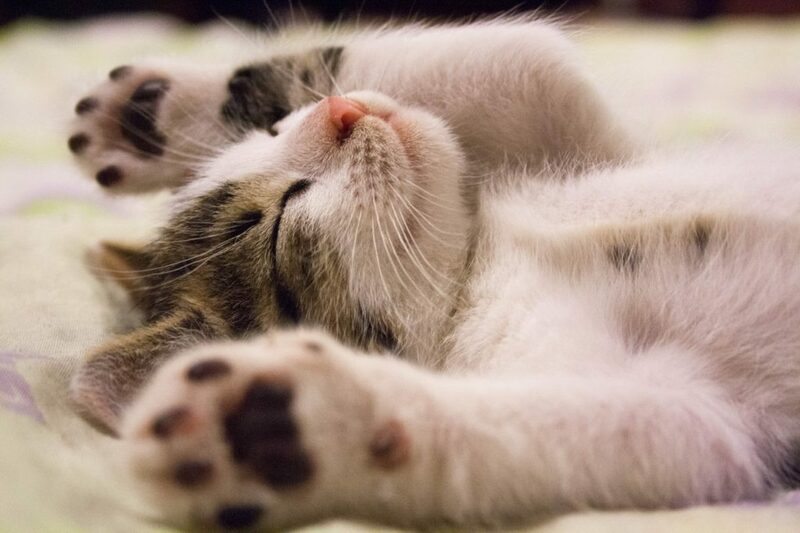 So I can have fun doing it, and you can take pictures of cats. Yes, you have to do several drafts, or hire someone to do it for you. Remind your customer of the pain point. And, of course, we’re keeping in mind those “pain points.” The problems you’re trying to solve. You’ve seen a million ads that play this up. Tell them how you’ll relieve this particular pain. Be clear about how your services scratch that particular itch. 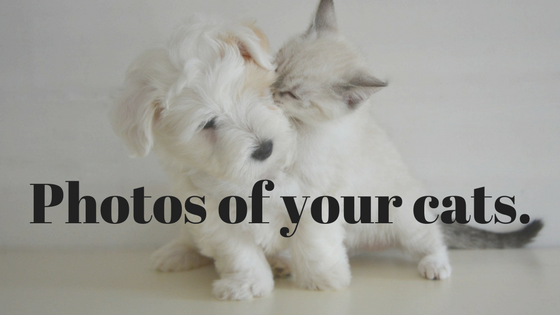 Do you have happy clients who cried when they saw their cat photos? Say so! You hear people say, “Show, don’t tell,” and that’s partially true. Proposed solutions to a client’s pain point should be super clear after a quick glance at your page. But once you have them hooked, try telling a story. Need help with this? Let’s talk! I can walk you through some simple steps, or refer you to someone who does more in-depth marketing. Like this post? Check out the next installment of the series.